The alarm goes off very early for this race for our team with most of us leaving the house before 5:40am just to get the start by 6:30am and get into the corrals. 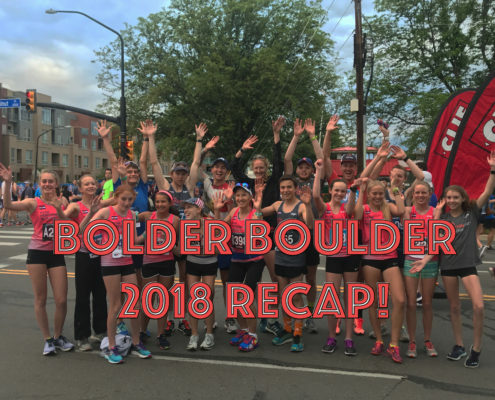 Bolder Boulder is unique in that it has waves based on recent 5K/10K times to allow athletes of similar abilities to race with one another. 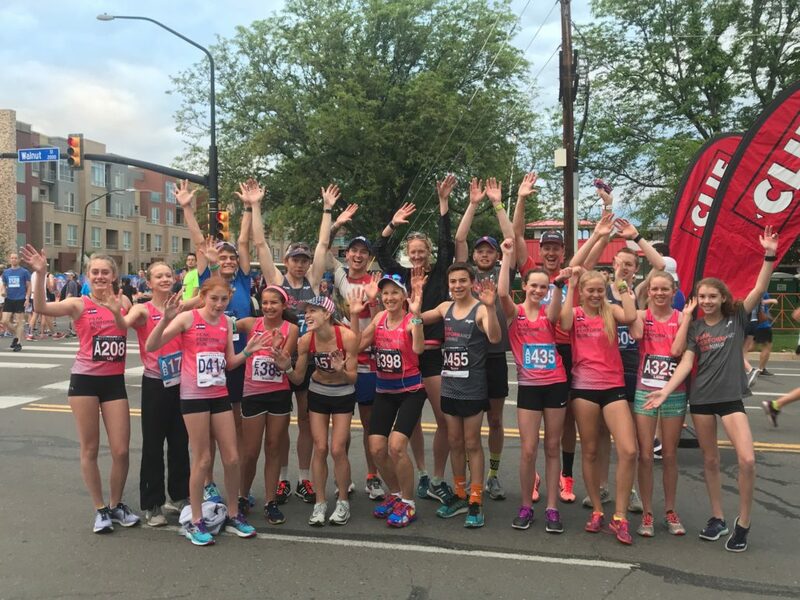 A big goal for many is to make their way into the A, AA, or AB waves as the time equivalents for this race put you in the top 5% of all finishers. Most of the squad! A few not pictured finishing warm ups! The team collected early in the back of the Home Depot parking lot. The air buzzing with excitement, the flash of police lights off set the sunrise building in the distance. The air was noticeably heavy as we worked our way towards the start line. Taking a left on to a closed road allowed us the opportunity to get in our warm up. 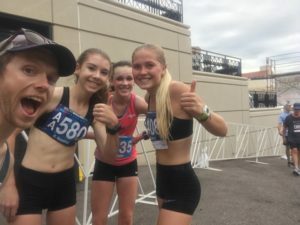 Knowing we had the luxury of time we took our time with our warm up, chatting up summer plans and shaking off pre-race nerves with a few laughs and smiles. Time rolled on and we set off for our last few strides allowing us to collect our thoughts and prepare for what was ahead. A few athletes have run this course more than 3 times so they know what they’re getting into. A gentle rise from miles 2 to 4 before a punchy little climb at 4.25 can do a number to the unknowing and is where most athletes seem to fall off pace. Cresting this hill launches you into a controlled downhill before you find yourself heading towards the ramp into Folsom Field. This gut punch of a climb has many athletes questioning their mental fortitude before you hit the field and cruise into the finish line. The finish line walk is always a great place to find yourself, your friends, your competitors and share a smile and hug for a job well done. This year wasn’t the hottest int he past five but it definitely had noticeable humidity making the air heavier than usual, like breathing through a paper bag! 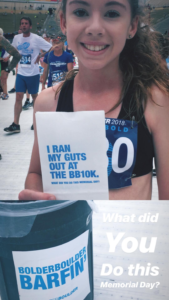 The team did awesome, many with PR’s, a few first time 10K runners, and more than a few slip and slides, bacons stops, and running for the fun of it. 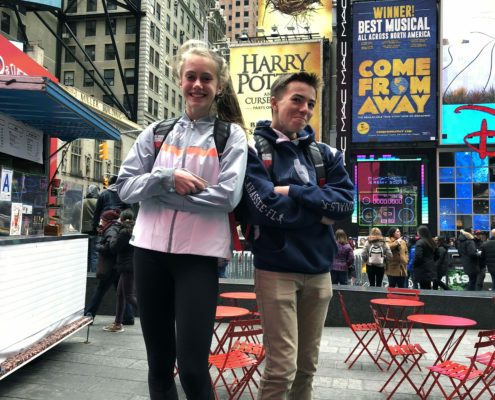 This race is often used as a benchmark for athletes, and helps kick off our summer track season. 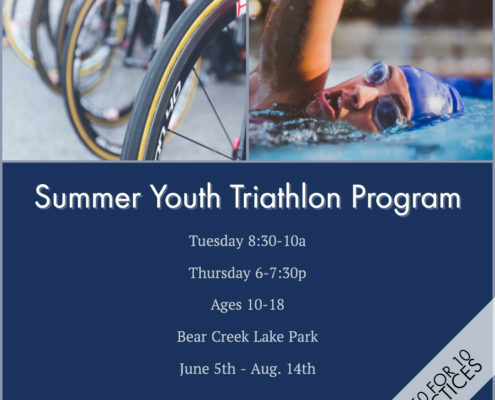 Using spring mileage to help build towards the intensity we’ll add in over summer as we build up towards Junior Olympics. Junior Olympics is just around the corner for us. 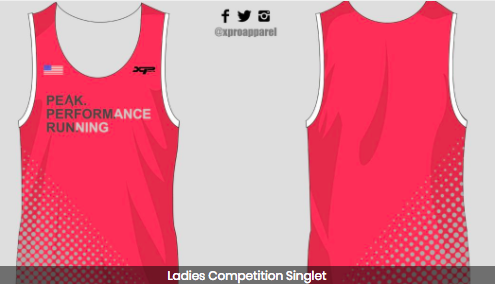 A few of athletes will be tackling the Dirty 30 – 7 Miler this weekend before we shift focus to rubber, spikes, and speed! 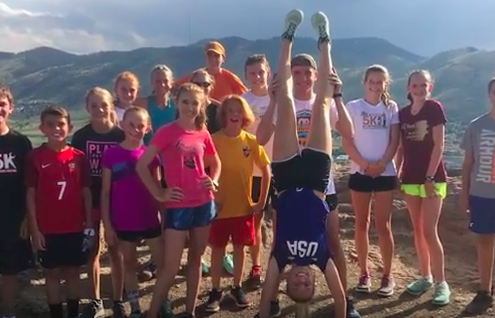 The summer is about 2 things – preparing for Fall XC and running fast on the track. 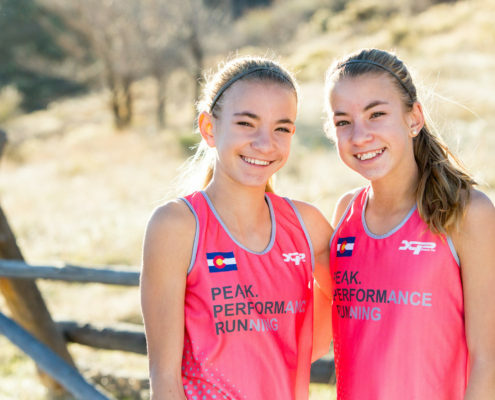 Our Juniors and Advanced teams focus on the Junior Olympic Track Circuit while our Upper Classmen in High School focus on building mileage, strength, and preparing for a tenacious Cross Country season. The course winds it’s way through Boulder, sending you up a few noticeable grades before rolling down to the last punch into the stadium. 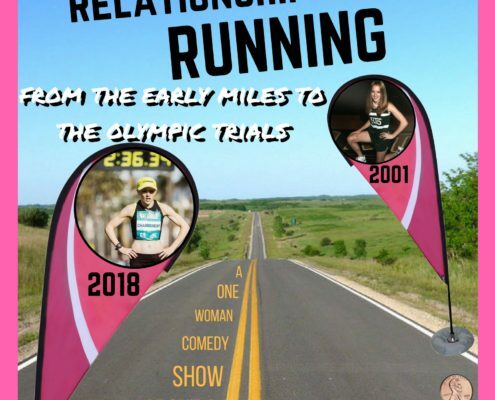 This race holds a mystique and tradition that attracts 40,000+ runners annually. 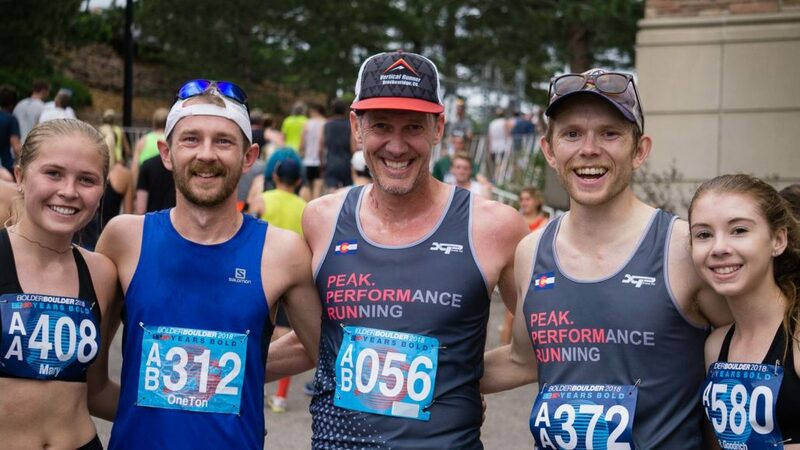 For our team – it’s a high water line and a competitive place to try and run the longest race of the year for many members. 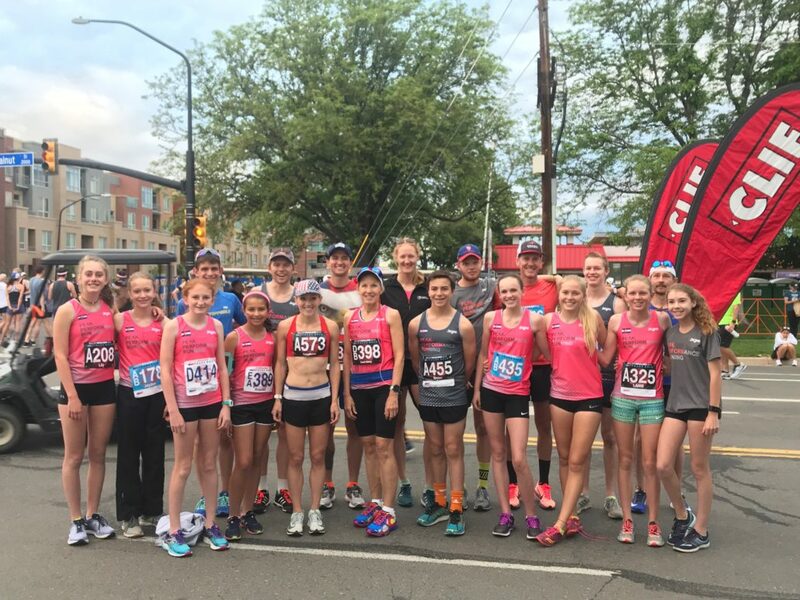 This race has been running for 40 years in 2018 – an exciting milestone for a race in our backyard! 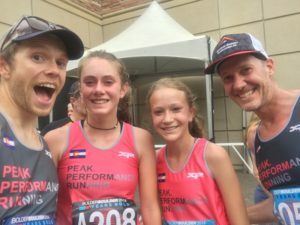 Peak Performance Running - Summer Camp 2018!